In the past few years, I've tried using more natural and/or organic foods and products in my household. It started with me just wanting to eat things that were better for me and my family. As time progressed, I started thinking why I shouldn't try the same thing with my own pets? 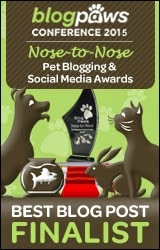 One problem I had was knowing what to look for when shopping for natural pet products. How do I know if these things really work? How can I trust that the ingredients in the products are really natural? Are they even safe to give to my dog? As you can tell, I had a lot of questions about using natural pet products. And I'm sure there are other pet owners out there who have the same questions. I recently had the opportunity to sit in during an interview with Kersten Lee, the Director of Research and Development for a natural pet product company called Only Natural Pet. Kersten has been with the company for 3 and a half years now. During the interview, I learned more about Only Natural Pet, their high standards, and basically what the company is all about. The company was started 10 years by the CEO and Founder, Marty Grosjean. Marty was taking his dog, Crinkles, to see a holistic veterinarian at the time. During his search for natural pet products for Crinkles, he just couldn't find exactly what he wanted. He saw that the demand for natural products for humans was rising and decided to start his own company for pets - Only Natural Pet. Look for ingredients that are identifiable. Meaning you recognize the ingredients and can actually pronounce them. Look for better sourcing of ingredients. Find out where the ingredients in your pet's products come from. I can tell that Only Natural Pet spends a lot of time choosing high quality sources for their products. Do the ingredients and products meet human standards? Only Natural Pet uses human quality ingredients for their products. Look for natural pet products that don't have pesticides, allergens, chemicals, preservatives, and anything artificial like colors, sweeteners, and/or flavors. Can you trust the formulation of the products? Only Natural Pet's products are formulated to be biologically appropriate for cats and dogs by a holistic veterinarian - Dr. Jean Hofve. Choose a brand that has a good history with it's customers. The Only Natural Pet line of natural pet products just became available at Pet360 this month. While browsing through the entire selection of products, I was quite honestly pleasantly surprised! I was expecting a handful of products at most, but I was completely wrong. The selection is huge! Some of the products in the Only Natural Pet line include natural pet food, treats, chews, supplements, dog and cat vitamins, homeopathic remedies, natural flea repellent and natural flea remedies, natural cat litter, and grooming products. I had a hard time choosing which products I was going to review in the next few weeks to say the least. I invite you to browse the complete selection of Only Natural Pet products at Pet360 and follow us in the next few weeks for our natural pet products campaign. If you want to become even more acquainted with the brand and their products, I'd recommend watching some of the videos on their YouTube channel. 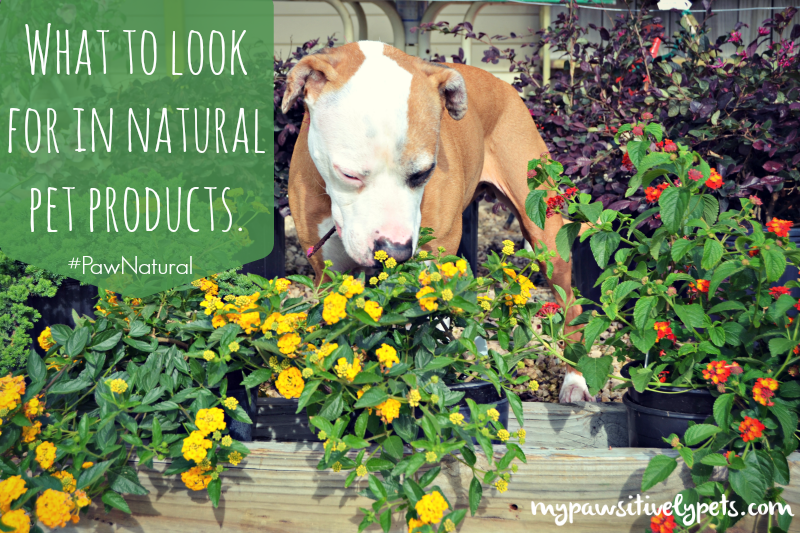 In the meantime, tell us about what you look for when choosing natural products for your pet in the comments! It is scary to us how many products are deemed 'Natural' and they are not. The word over here is over used and very misleading. We so agree that ones had to spend some time looking into products and not just trust the label. Have a fabulous Friday. I'm sure it might be worse over here. We have the same problem! 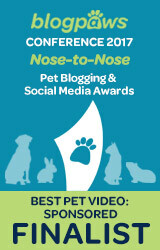 I love the topic of authentically natural products for pets and really look forward to your reviews! We think natural is good and have been headed in that direction too! It takes a while to move over there, but I think it might be worth it in the end! It is extremely difficult to produce dried or canned dog food without adding artificial minerals and vitamines into it (mostly because natural vitamines in the meet, fruits and vegetables in there get killed during the necessary heating process), but I have seen a few ones that are actually REALLY all natural. I don't condemn people feeding such dog foods. To each his own. But as someone who actually feeds his dog all natural ingredients only, I find such articles very misleading. Thanks for sharing your thoughts on this Genki. The I and Love and You brand is not Only Natural Pet brand. You really need to visit the Pet360 link in this article to see their full list of specific products. Their food is mostly freeze dried raw with very limited ingredients. Agree completely. Their old web site (still up) sold OTHER brands. From what I can tell, the ONP brand is VERY good, very limited ingredient, very natural, very sustainably sourced. Yes, they do sell other brands on the ONP webstore. But since I'm talking about the ONP brand and not the other brands, I think it was a misunderstanding. I did get some of the air-dried dog food and am just amazed by how good it is! Thanks for taking on a complex and vital pet health topic. I really appreciate you for writing this post. With our dog have come to a middle ground. 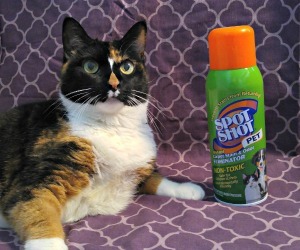 Sydney came to us from an animal shelter with many skin allergies, so we got on track quickly to reduce and simplify the ingredients that trigger skin and stomach trouble., Carefully, we continue to observe factors that many new pet parents forget. Digestion is key, and of course, fresh, wholesome and balanced food. Sydney actually knows the difference between our home grown organic snap peas and zucchini, compared to store bought. He prefers foods he can pick himself from the garden, like the snap peas and carrots. We limit carrots due to their high sugar content. He gets a mix of grain-free foods, some canned meats some fresh chicken leftovers. We must make sure he is having regular bowl movements, which cooked yam and pumpkin help with. We feel very lucky to have a great feed store, Western Farm, which checks and pulls all recalled products before the start of business each day and we can trust the staff, who a great animal lovers and make good suggestions for new food choices. Hi Deborah, thank you for sharing! Amazing that Sydney is able to tell the difference between the good stuff :) My dog is not so picky and would eat just about anything. Sounds like you've found the perfect plan for him. I'm pretty impressed with this brand too and I found out last night that they started locally (to me). I love the selection and it'll be interesting to watch them grow. I'm already planning to pick up a few more of their treats at the end of the month. Awesome Kimberly! I am super excited myself. There are a lot of products that I've never had the chance to use before, so I can't wait to get started. Oh yea, they don't have pads and only have fur to protect their feet =/ I wish I knew of something. The only thing I remember recommending to people with that problem was to make sure the rabbit had soft towels of blankets to walk and lay on. But I know Speedy already has that. The other thing to keep in mind is that "natural" does not equal "safe". Unfortunately we often find sometimes toxic natural ingredients like garlic in pet foods and flea preventives. I had a client come in recently using a "natural" tick preventive that left the dog with tremors and high liver values. Nutriceuticals are not overseen or tested for safety by the FDA. 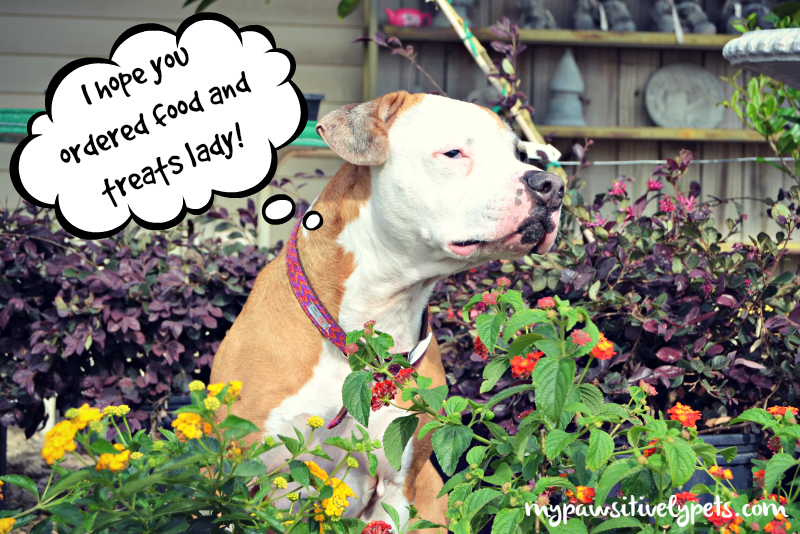 I am fortunate to work with a holistic veterinarian who helps our clients sort through holistic options that are safe, but don't just assume because something is natural it is good for your pet. Work with an expert for sure! As someone else mentioned "natural" dog foods can also contain small amounts of artificially created vitamins and minerals. If that is something that matters to you, you might want to beware. Definitely not! I have heard of a lot of garlic remedies for fleas, which I don't always get. I'm glad this brand has a holistic veterinarian at their disposal. During the interview, they talked a lot about how hard she worked to formulate their products.